Last week I taught on the “new” wine of Jesus. This week, I will teach on Jesus’ revelation of a “new” temple – the temple of His body, and the cleansing of the earthly temple in Jerusalem. When it was almost time for Passover, Jesus leaves Capernaum with His mother, brothers and disciples to go to Jerusalem to celebrate the feast of Passover. Passover took place in spring – the time of “new” life. It is when the sacrificial lamb is slaughtered for the atonement of sin. Jesus was crucified at the time of Passover in fulfillment of this requirement of God. It is in Him that all receive "new" spiritual, eternal life. Passover is one of the three feasts that God commanded all Jewish males to attend. There is a lot of hustle and bustle in Jerusalem at the time of Passover because of the crowds of people there to celebrate the feast. In the center of all of this activity is the temple. The temple is the heart of Jewish life. It represented the presence of God among His people. This physical temple would be the place that Jews and converted Gentiles would go to sacrifice for their sin and receive God’s forgiveness at Passover. However, these sacrifices were not eternal. They had to be repeated year after year. These animal sacrifices could not take away sin or give those sacrificing eternal life. Jesus who is in Jerusalem to celebrate Passover is the Eternal Passover Lamb of God through whom all receive eternal spiritual life and the forgiveness of sins. Jesus would soon shed His sinless blood to take away the sins of the world. Jesus had to do everything the Law required in order to fulfill it. 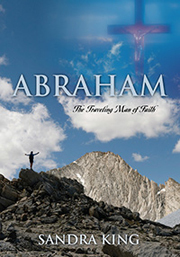 He came to earth to do what no earthly man could do – fulfill the Law perfectly and completely for all. The earthly temple in Jerusalem was made of dead stones. It was not living! Jesus is the “new” Living Temple of God on earth -- the very presence of God walking the earth. In Christ, the fullness of the Godhead dwells. (see Colossians 2:9) God’s glory returned to the temple in Jesus Christ as God had promised the Israelites. The Living God will not be contained in buildings built by men, but instead in living, believing humans who are His “new” living temple -- His Body. Jesus was not made by man and neither is His Body of believers. Acts 7:48 says, “The Most High does not live in houses made by men.” The re-creation within believers making us “new” creations is done by the Godhead not by man. The Father wills it; Jesus the Word speaks it; the Holy Spirit brings God’s will and Word to fruition. Jesus words the thoughts and character of God. The Godhead works in complete harmony and agreement. Jesus is the embodiment of all of God’s power and truth. We are individually and collectively His living temple who carry the Word/Jesus and the Holy Spirit on earth. As the physical temple in Jerusalem was the center of the Jewish spiritual life, Jesus and the Holy Spirit are in the center of our hearts – the place of love – making us “new” creations who reflect the image and likeness of Christ. The Godhead wants us to put off the old -- our fleshly, carnal desires --and put on the holiness, love, grace and truth of Jesus Christ. The way to bring glory to His name is to be like Jesus, since He is full of God’s glory. As Jesus reflected the Light of His Heavenly Father bringing Him glory, believers are to reflect the Light of Christ bringing Him glory. Living believers are to be the place where God’s presence dwells and His will is accomplished just like Jesus. God does not want His temple profaned or abused. It is a sacred place that must be kept holy. At the time of Jesus, God's shekinah glory and the Ark of the Covenant were not in the temple. The Ark had been taken during the Babylonian captivity. The presence and glory of God was restored to the temple in Jesus! Unfortunately, because of the weakness of the flesh of mankind, the Israelites went through several cycles of spiritual defilement of the temple. They would fall into idolatry, disobedience to God’s law and even materialism. Throughout Israel’s history, God would raise up a godly leader to bring His people back to Him and His Word, and then restore the earthly temple. Jesus, God’s only Begotten Son, will now be the leader over God’s people and God’s house. His temple will not be an outward building, but an inward temple in His people through the transforming power and work of the Word and the Holy Spirit. God will use His Holy Word and His Holy Spirit to remove the profane within His people. There are two cleansings of the temple by Jesus in the New Testament, one at the beginning of His ministry and one at the end of His ministry. Jesus said, “I am the First and the Last, the Beginning and the End.” In John, Jesus cleansed the temple at the beginning of His ministry. What Jesus does in the beginning, He will also do in the end. In Matthew, Mark and Luke, Jesus cleansed the temple at the end of His ministry just before He was crucified. This second cleansing would be the trigger that had Him crucified. The chief priests and the whole Sanhedrin were looking for false evidence against Jesus so that they could put him to death. But they did not find any, though many false witnesses came forward. Finally two came forward and declared, “This fellow said, “I am able to destroy the temple of God and rebuild it in three days.” Matthew 26:59-61 This is not what Jesus said. Jesus said in John 2:19, “Destroy this temple, and I will raise it again in three days.” These witnesses have twisted His words. Jesus was talking about His body which is the “new,” Living Temple of God. He wasn’t talking about the earthly temple as they accused Him. Because these religious leaders were spiritually blinded to the truth of Jesus Christ, they didn’t understand what Jesus was saying. No doubt His cleansing of the temple court added to the anger already in the hearts of the religious leaders accelerating His crucifixion. Jesus who is all-knowing understood this. The stage was being set for the ultimate, once-for-all sacrifice of Jesus and His shed blood to cleanse us of all unrighteousness.